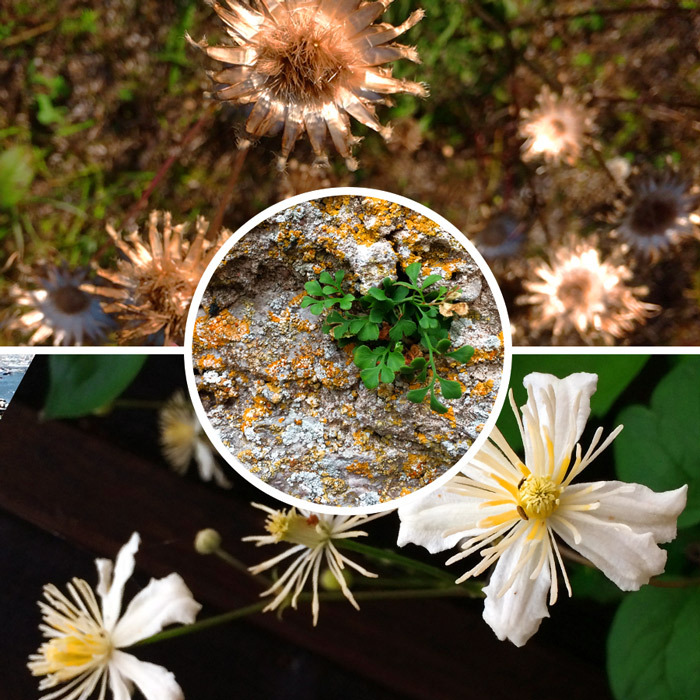 Visit Gotland! Since it’s like a place from the fairytales. Gotland is Sweden’s largest island surrounded by the gleaming Baltic Sea. 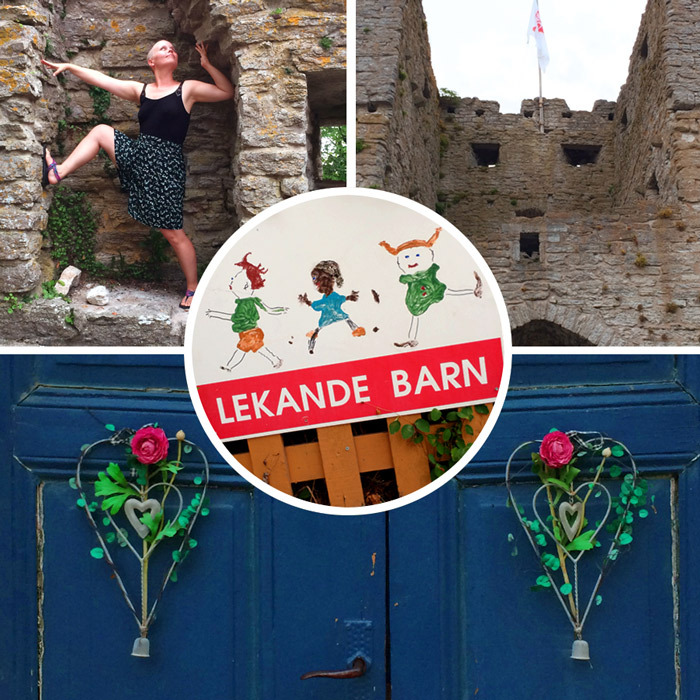 I travelled to Gotland for the first time last week with my mom, brother and nephew. 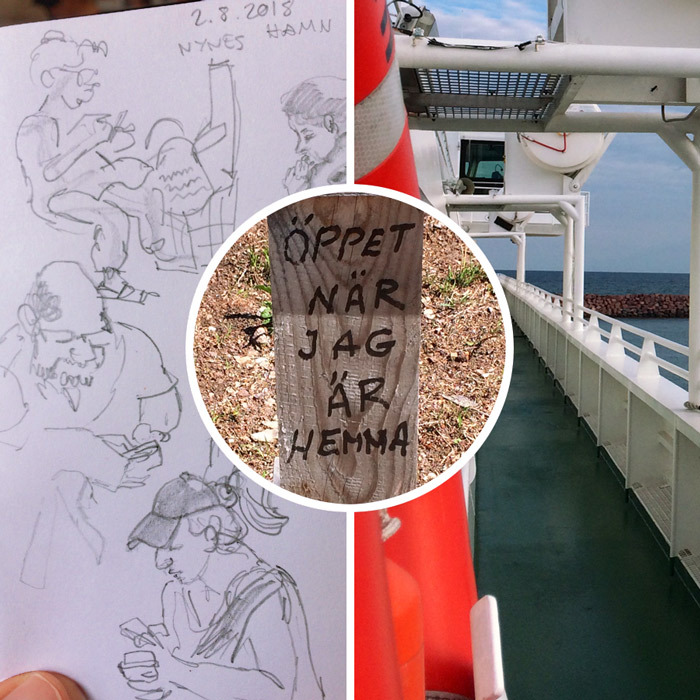 We travelled trough Stockholm to get to the Nynäshamn where we took the Destination Gotland cruise ship to the island. We rented bikes from the Visby harbour for the day-and-a-half-visit. 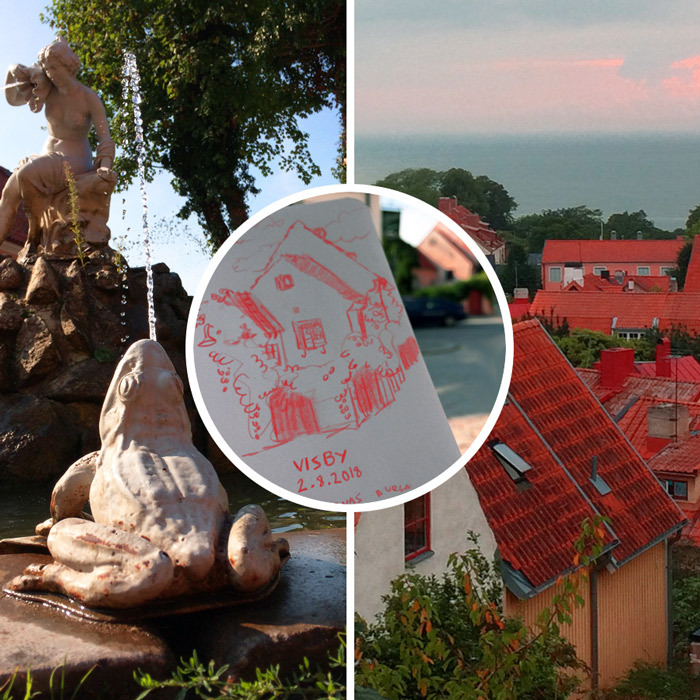 It was so convenient as we stayed in the small cottage by the campsite called Visby Strandby (huge recommencation!) 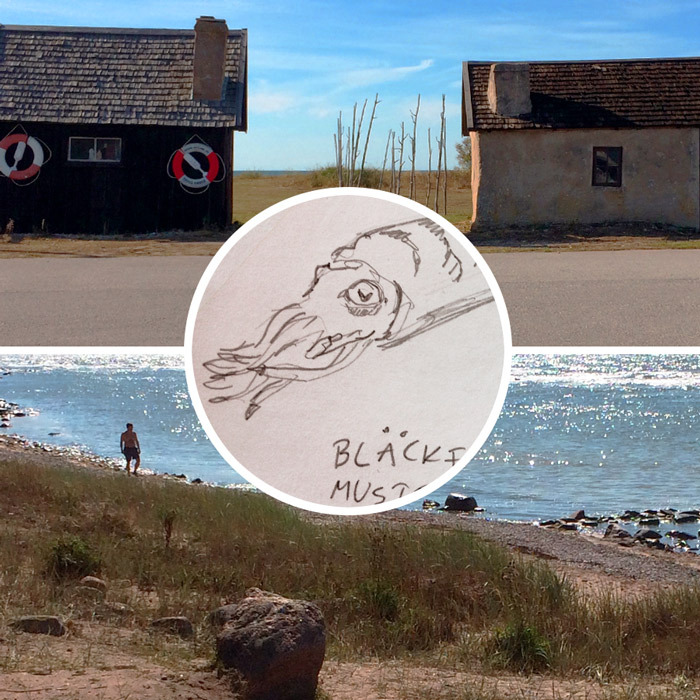 about three kilometres from the harbour. 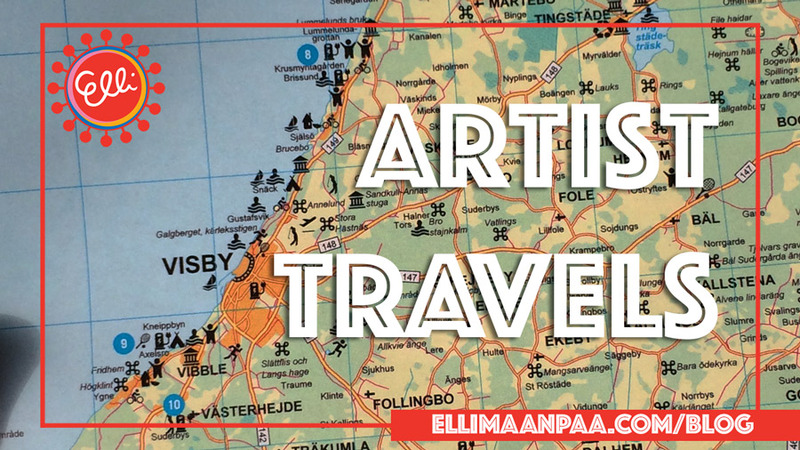 Since our stay was fairly short we mostly stayed in Visby since there’s already so much to see. The city is filled with history. Lucky accident was that the night we arrived was also the Night of the Culture there in Visby so the city was bustling with happenings and people dressed in medieval style. The second day of our stay we did a biking trip to the Lummelundagrottand – a impressive cave 10 kilometres from Visby. We also tested every beach on the way since it was super sunny and hot. Gotland was inhabited already by the Vikings. The wikipedia says that the oldest skeletons found from the island are 5000 years-old and that they were “related to modern-day Finns”. No wonder I felt like home. I also got a chance to practice my broken Swedish. I was so happy to be able to order a latte with an oat milk in the native language. When we travel with my brother the tempo is rapid. It’s great since it means we see a lot in a short amount of time but it also means I don’t have time to sit down to do real “plain air paintings”. 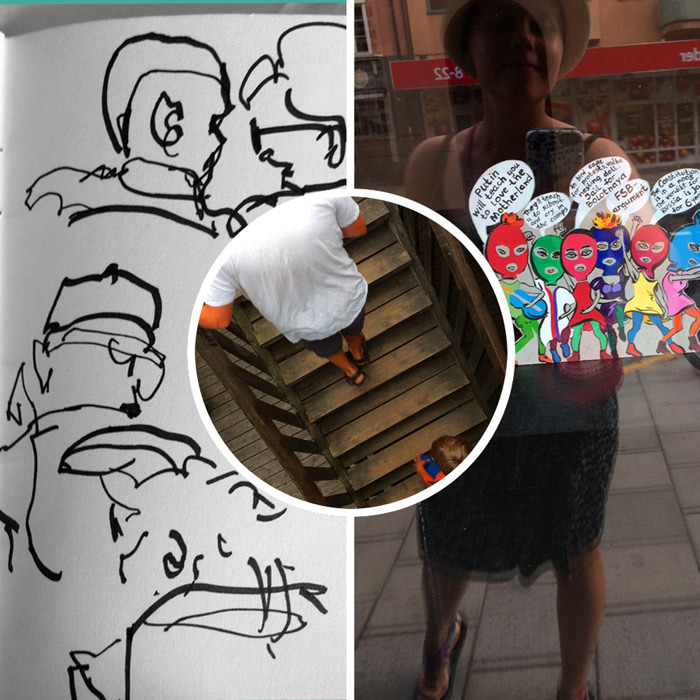 Instead I try to steal little moments – like while waiting for the food or for the cruise ship to arrive – to doodle couple minute croquis. I was travelling extra light since I didn’t want to carry a big backpack in the 34 celsius heat. So I only had my small sketchbook which is smaller that my passport and one pencil, one red color pencil and one black marker. While my brother and nephew catch the plain back home to California – we had one day to spend in Stockholm with my mom, before taking the cruise ship back to Finland. Since we had only 5-hours-sleep the night before we decided to go on the hop on hop off bus tour. It was a perfect choice for our tired feet even though there were many funny accidents rather than perfect functions on our ride. Like when we didn’t know how to get off from the bus exited the bus in a wrong side of the city. We had to take the public transportation to get back where we wanted. I even tried to sketch on the bus (the marker drawings below). Gotland was gorgeous and I want to travel back there for sure. Next time I want to take my boyfriend along so we can sit down in the seashore and draw the medieval ruins together. Go visit Gotland if you have a chance! P.S. Sorry for being one day late with the post. The trip took it’s toll and I keep on falling to sleep instead of being productive. Thank you for your understanding. See you next Tuesday.